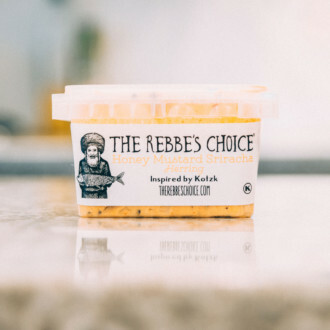 Rebbe Moshe Chaim Ephraim, the Degel Machane Ephraim’s, impoverished lifestyle contrasted sharply with that of his brother, the Rebbe Reb Baruch of Medzibuzh, who had a “king’s table.” Reb Baruch once went to Sudylkov to spend Shabbos with his brother. Aware of his brother’s extravagance, Rebbe Moshe Chaim told the members of his household to make the fanciest Shabbos possible. When the brothers arrived home after the Shabbos davening, the table was set: with two small wax candles flickering in clay candlesticks, a simple linen tablecloth, two small challas, metal cups, wooden plates, and herring with onions and pickled cabbage to eat. “Is there anything lacking in my house?” retorted his brother. “But where do you get the money for all those things?” asked The Degel.